ProStockHockey is THE online resource for hockey players who want to access authentic professional-grade sticks, equipment and information. They make NHL-grade equipment available to all who enjoy the game and have built a very loyal online customer base. ProStockHockey.com uses leading ecommerce platform BigCommerce for their online store and the site features a PSH Rewards Program that allows customers to earn and redeem points for purchases made. 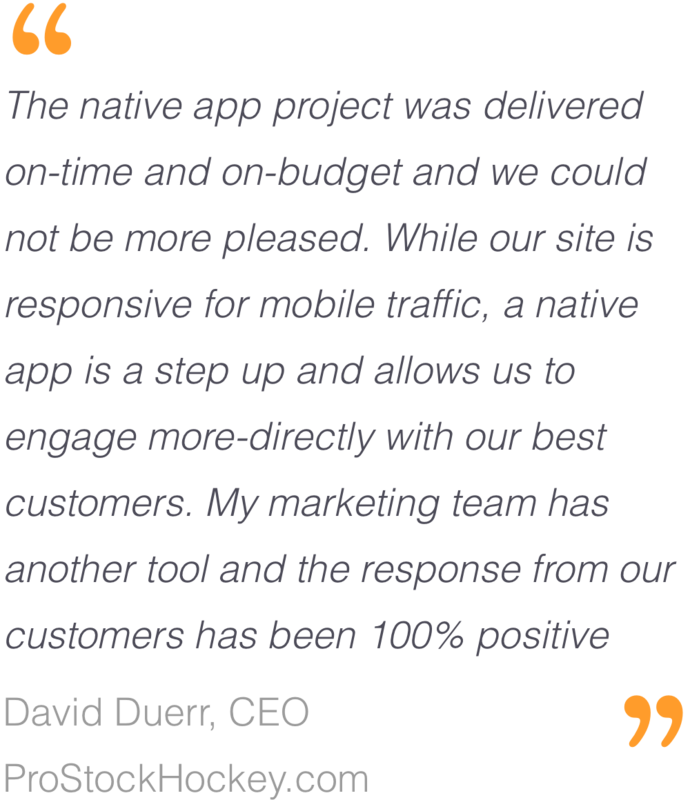 ProStockHockey recognized the potential of a well-designed native mobile app, based upon the unique requirements of their customers. With an extremely loyal customer base, they wanted to give their best customers a new, native app-based shopping experience that could also leverage and extend their exiting enterprise-ready BigCommerce platform features. Key drivers for the decision to launch an app were the integration of their Loyalty Program and the ability to increase engagement with their top customers via Push Notifications. They also wanted to work with a nimble, experienced team with both design chops and a deep technical background in mobile commerce solutions. ProStockHockey chose Unbound Commerce to design and build their custom native iOS and Android apps because the Unbound solution is both 100% custom and fully pre-integrated with the BigCommerce platform APIs. The project team started with a custom design process, to assure that the app would be specifically tailored to the needs of PSH’s top customers, who would be the most likely users of the app. The apps are delivering unique new functionality and load-times are nearly instantaneous, since data is cached on-device. 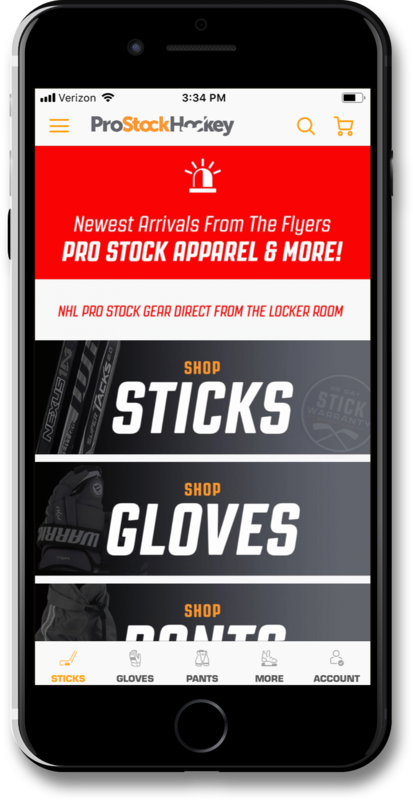 Most importantly, ProStockHockey is engaging in new ways with their best customers, via app-based push notifications about new product arrivals. This increased customer engagement is also driving higher conversion rates. Just 3 months after launch, ProStockHockey is already realizing returns on their investment in the app project, with full ROI achieved. They are able to engage with their customers in new ways and push notifications are driving a 50% increase in user engagement, on days when push messages are sent. 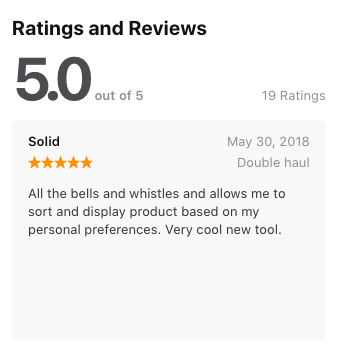 The apps have been very well-received, with both the iOS and Android apps boasting a perfect 100% 5-star rating on their respective app stores.